This chapter describes the efforts and pilot study results of the Nebraska 4-H Wearable Technologies (WearTec) project, funded by the National Science Foundation's Innovative Technology Experiences for Students and Teachers (ITEST) program. The overall goal for the three-year WearTec project is to study a systematic set of learning experiences focused upon the use of wearable technologies to effectively support student comprehension of the engineering design process and to increase interest in STEM academics and careers by students in grades 4 to 6. The key components of the WearTec project include (a) utilizing small sewable electronic components; (b) a focus on engineering design; (c) computer programming via the LilyPad Arduino microcontroller, and (d) bridging the formal and non-formal learning environments in order to deliver the WearTec project. Wearable electronic textiles provide a unique opportunity to teach students engineering design and other important science, technology, engineering and mathematics (STEM) concepts through the creation of functional solutions to real problems. The artistic aspects of wearable technologies are particularly attractive and accessible to new and diverse audiences to STEM (Qiu, Buechley, Baafi, & Dubow, 2013). In this chapter, we describe our National Science Foundation (NSF) funded project to teach engineering design, circuitry, and programming to students in grades 4 to 6 through the design and creation of wearable technologies. 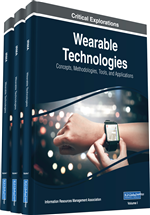 Specifically, the chapter will explore the following: the current state of using wearable electronic textiles in education, theoretical underpinnings, developing a shared vocabulary, an overview of the current electronic textiles kits, a comparative analysis of electronic textiles with educational robotics, an argument for introducing engineering education at the elementary school level, and examination of the need to more effectively bridge formal and informal education. In addition, the chapter presents the Nebraska 4-H Wearable Technologies (WearTec) pilot study that investigated the delivery of a newly developed student curriculum and professional development training centered on wearable electronic textiles.